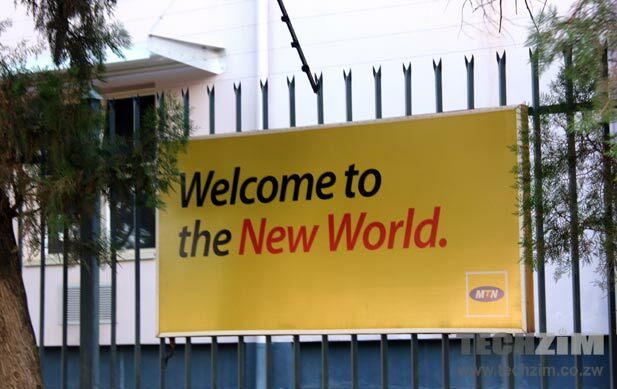 Unbeknownst to most of us, MTN, Africa’s mobile telecoms giant, is actually already in Zimbabwe. They just aren’t fighting on the highly regulated front of mobile telecoms. In Zimbabwe, and other countries on the continent where MTN doesn’t do traditional mobile telecoms business, the company is now operating internet startups such as a newly launched Zimbabwean real estate online marketplace called Lamudi. Lamudi is not just MTN. It’s them, Millicom (a Sweden headquartered global telecoms company) and the famous clone factory, Rocket Internet. In December last year the three contributed to a company called African Internet Holdings, which will essentially do what Rocket used to do alone – rapidly move into African markets and build companies based on a main template and technology platform owned by the main company in Germany. These templates were themselves usually just clones of successful American e-commerce startups. Rocket and Millicom are actually powered the same investor; a swedish investment company called Kinnevik. The interesting thing about MTN’s entry into Zimbabwe via Rocket Internet is that they now fully realise that in the future services that sit atop networks will yield a lot of value. It’s not a secret revenues in traditional telecoms are dwindling, thanks thanks to apps. In the telecoms industry these are called Over The Top (OTT) services. Over the top because they use the networks but don’t need the traditional manual permission to run. Permissions like premium SMS, value added service shortcodes and so forth. They also don’t even need to go through a regulator – anyone can play; It’s the market that decides. It’s not clear if MTN and Millicom ‘get’ the internet and if therefore these early efforts will see them unseat local players like www.classifieds.co.zw and www.property.co.zw. On the internet financial muscle doesn’t always equal success. Forget the mobile operators, it’s not even clear if Rocket gets Africa. What will also be interesting is that traditional, whatever the reason, anything coming from outside the country is held in higher regard than the local equivalent. The “Prophet and honour” syndrome. It’s the reason people often say “If only MTN were here, Econet would behave”. Or, “If MTN were here, we would have better service quality”. More competition yes, but not superior. True, these OTT services are going to be the future in the evolution of telecoms. In the future no one will care what network or technology is powering whatever app running. Networks and whatever technologies behind them will converge and become invisible to the user. The user will be primarily interested in services apps can deliver. MTN has even been selling off their physical infrastructure like base stations etc, they have already seen how things are playing out in advanced economies. What will matter here in africa and elsewhere are the googles and facebooks of africa and MTN is putting building blocks in place well before the shine shines. I would encourage firms like econet to also go beyond just buying startup by investing in tertiary education and partnering with local universities to improve the quality of educational training. Seems local startups better brace for hard battles, especially in the spaces like shopping & real estate where it’s more of a marketing budget than your product that determines how good you fare. True, there’s battle head, but people shouldn’t be too scared. Locals have a lot going on for them that MTN/Rocket will not have. Nigeria has at least shown that them throwing money at stuff (at least announcing that they are throwing money) doesn’t always result in them winning in the market. One clear thing though is that for most cases, some resources will have to be raised to compete effectively. Using zero resources from the bedroom, in the hope that it will grow organically fast enough to compete with those that have money will not work in most of the cases. What happened to the partnership between Africom and MTN?